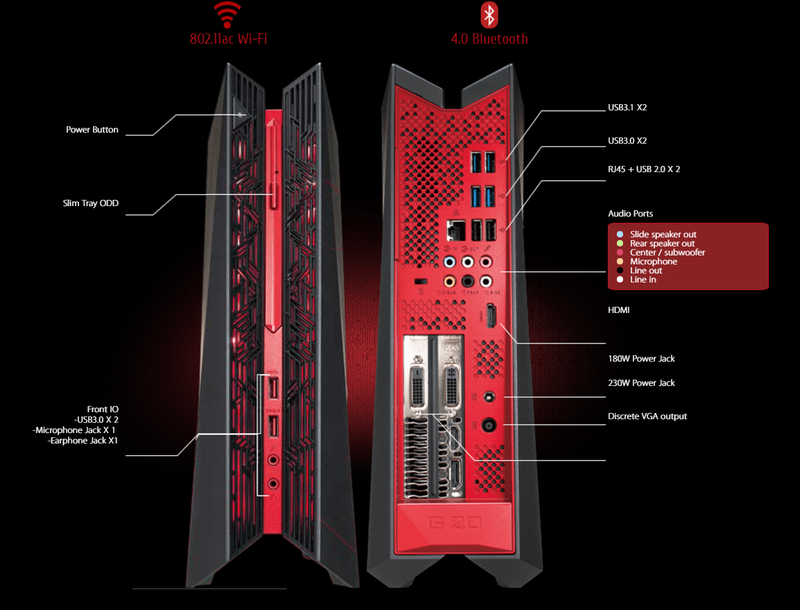 ASUS Republic of Gamers (ROG) today re-announced the availability of its strongest small-form factor gaming desktop – the G20CB which features NVIDIA GeForce Pascal edition which delivers up to three times (3X) the performance of previous-generation NVIDIA graphics cards. ROG G20CB features a small-form-factor 9.5-liter chassis and is designed for gamers looking for incredibly-realistic visuals and immersive VR gaming experiences. Designed to dominate the gaming and entertainment scene, the ROG G20CB is by far known to be a bad boy small form-factor PC that sports a bold design – boasting a matte-black finish, aggressive lines, Mayan-inspired markings, and a dynamic 8-million-color LED effects. With its 6th-Generation Intel Core i7 Processor housed in a deceptively small 9.5L case, it’s meant to give an unprecedented level of gaming and multitasking performance for hard-core gamers and enthusiasts. Expect to experience thrilling visuals as the ASUS G20CB is packed with the latest NVIDIA GeForce GTX graphics. The 4K/UHD resolution visuals will allow you to play games at their highest settings on up to three HD displays. Allowing for added dimension in gaming is its support for NVIDIA 3D Vision while its NVIDIA G-SYNC technology synchronizes the display’s fresh rate and gets rid of lags, minimizes frame stutters and eliminates visual tearing. G20CB delivers the smoothest and fastest gaming graphics – allowing you to stepped up your game. Further, G20CB comes with exceptional heat management to ensure sufficient cooling during a marathon of gaming but is quite as a mouse as it runs silently at just 22dB. It is also equipped with Aegis II application that helps track system parameters via an intuitive interface. Aside from the immersive visuals, the best gaming desktop will take your gaming experiences further through immersive audio. SonicMaster has a unique mix of hardware and audio tuning software to fully bring you on the game. The ROG AudioWizard sound processing provides ROG desktops with audio enhancement like no other. In addition, ROG G20CB gives gamers low latency and plug-and-play compatibility with leading VR headsets driven by NVIDIA VRWorks technologies for even more immersive gaming worlds. The ROG G20CB gaming desktop comes with all the connectivity options you need. It has a total of eight (8) USB ports front and rear so there is always a port available for all your gaming peripherals. 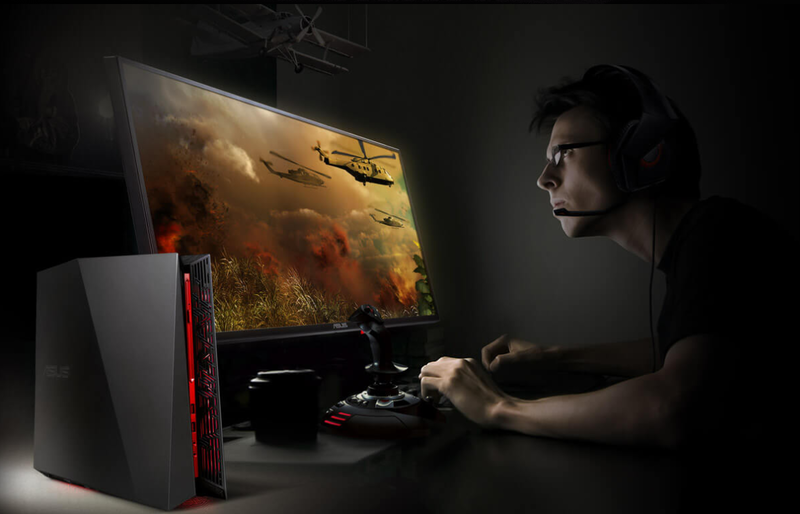 It even has two USB 3.1 ports and you can hook up your ROG G20CB to an HDTV through an HDMI connection for large screen entertainment and gaming. Super-fast and stable 802.11ac Wi-Fi provides strong signal delivery and three times the speed of previous Wi-Fi standards so gamers can play their favorite games or stream videos online smoothly. ASUS storage innovations also mean that your data is kept within reach. The ROG G20CB comes with 100GB of ASUS WebStorage space free for an entire year so you can keep safely store and access your cloud-based data anywhere for as long as you have internet connection. You can also share photos and videos with your family and friends through a secure URL link. Inside, ROG G20CB has a thermal design that takes advantage of natural heat convection, and has a hidden airflow channel to ensure efficient heat management during marathon gaming sessions. 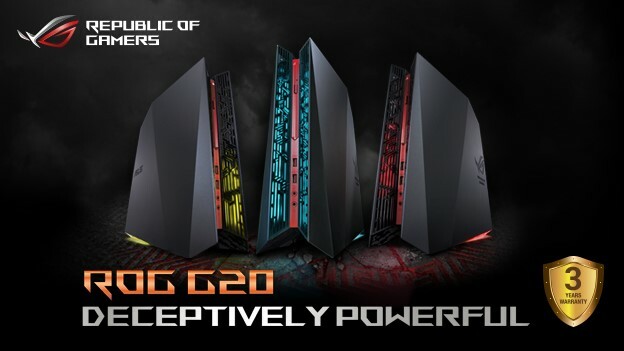 To boost its gaming credentials, the ROG G20CB has been well-received by the industry, winning international accolades including the Computex Best Choice, Good Design, iF Design and CES Innovation awards. Tune into ASUS and ROG Philippines’ social media pages for more information on local pricing and product availability. MSI-ECS exclusively distributes the ASUS ROG G20CB in the Philippines. For full specifications and details, contact them at (02) 688-3512 or email marketing@msi-ecs.ph.